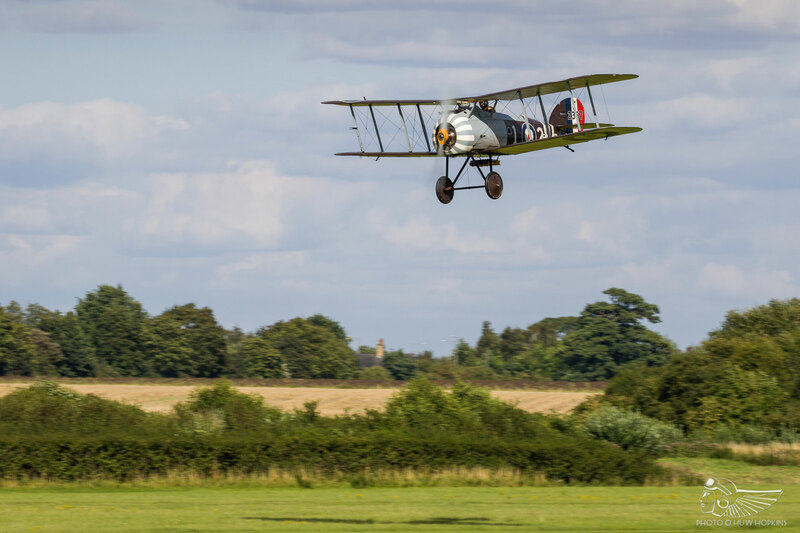 The Shuttleworth Collection’s fourth Sunday airshow of 2017 was branded the Edwardian Pageant, albeit wind conditions on the day were out of limits for the original and reproduction aeroplanes of that era. The net was cast far wider than the Edwardian period, however. 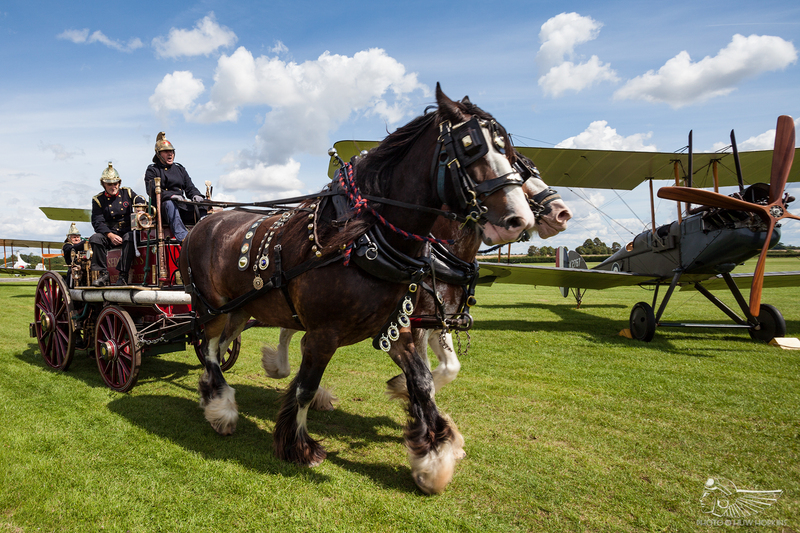 On the ground, an impressive collection of classic automobiles mustered on the hangar base (including a delightful horse-drawn fire appliance) ahead of a pre-show vehicle parade along the flight line. 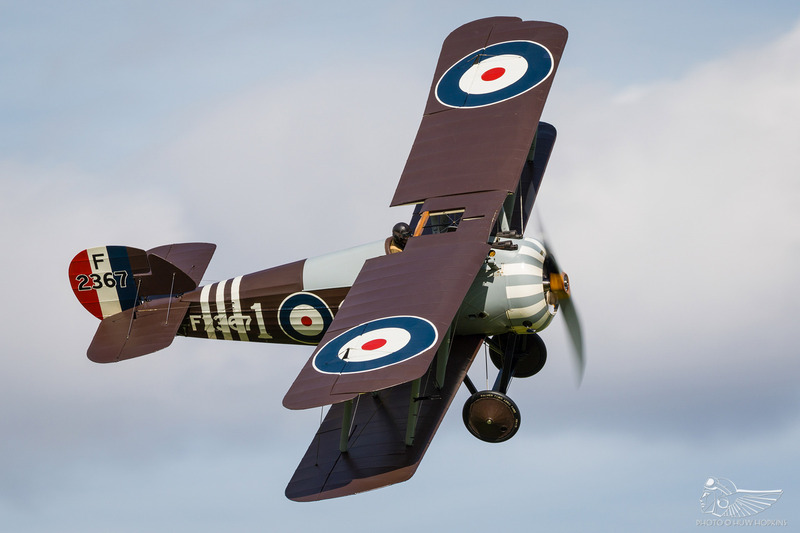 The flying programme, meanwhile, consisted of a mix of historic types (with a focus on Great War aviation – more on which later) interspersed with visiting vintage aeroplanes and civilian aerobatic acts. 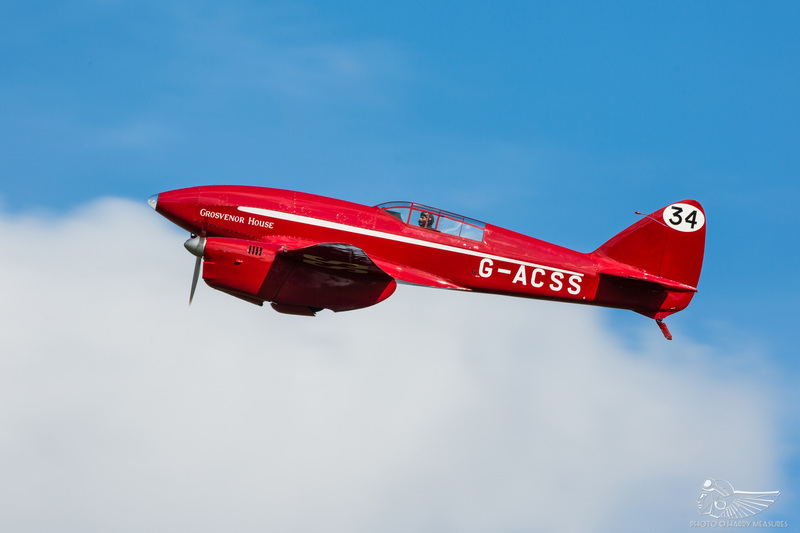 Capping it all off and giving Shuttleworth a true crowd-pleasing headline act, a return by the RAF Red Arrows. 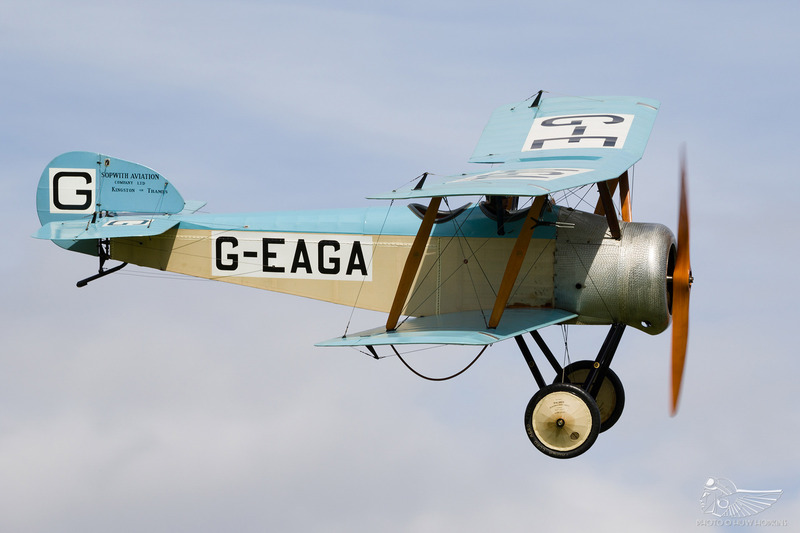 It’s hard to say exactly how the “Edwardian Pageant” translated into a theme in the event, but the more generalist approach to the flying programme gave it the feel of a midsummer family flying day – something a little more akin to the broader strokes dealt by the RAFA Shoreham airshows, for example. 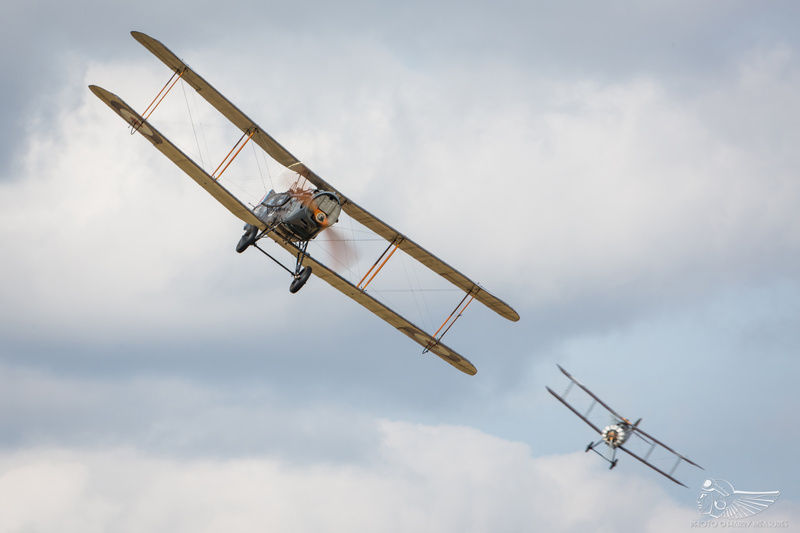 A marginally different approach for Old Warden, then, but that’s no bad thing given the breadth and depth of participation. 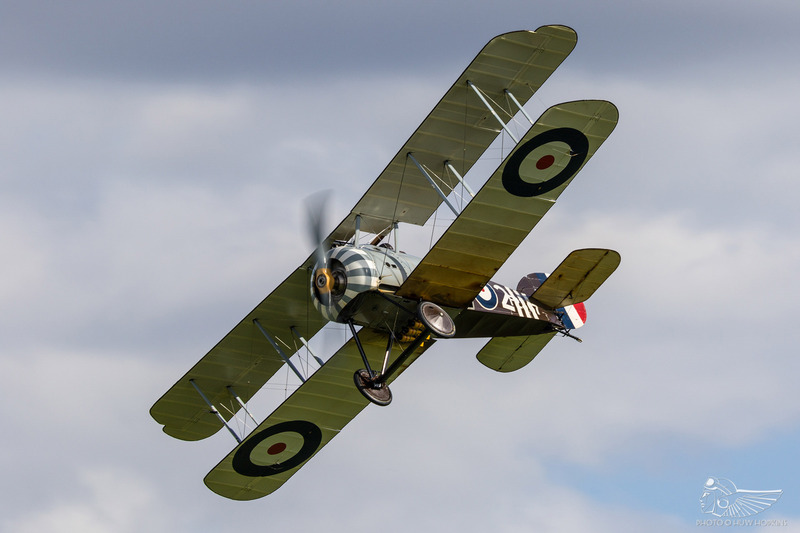 The dozen-strong First World War contingent was split down the middle by weather and serviceability, with half of the scheduled aircraft getting airborne. 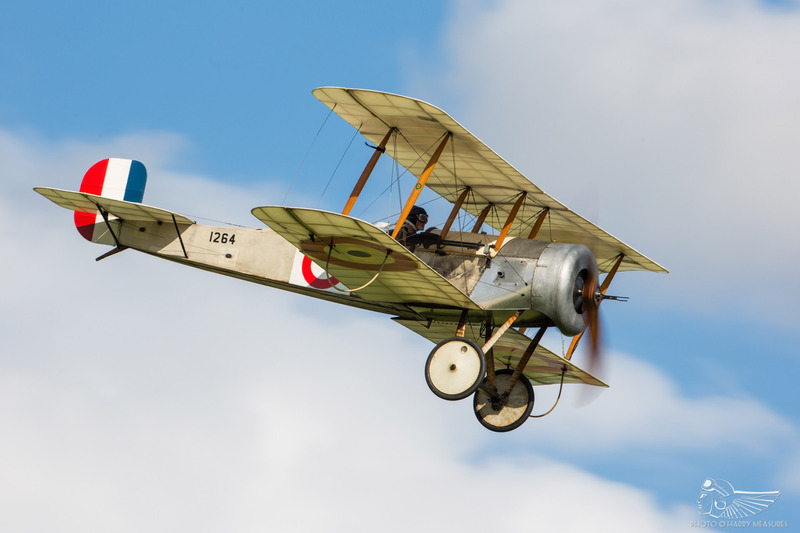 It is fair to say, however, that the loss of the Avro 504K, Bristol M.1c, the second B.E.2e and Sopwiths Pup, Triplane and Camel (the latter was listed on the event’s webpage but was not ready to make its long-awaited airshow début) due to wind and serviceability didn’t take the shine off one of the finest gatherings of Great War aeroplanes seen in the UK in recent years. 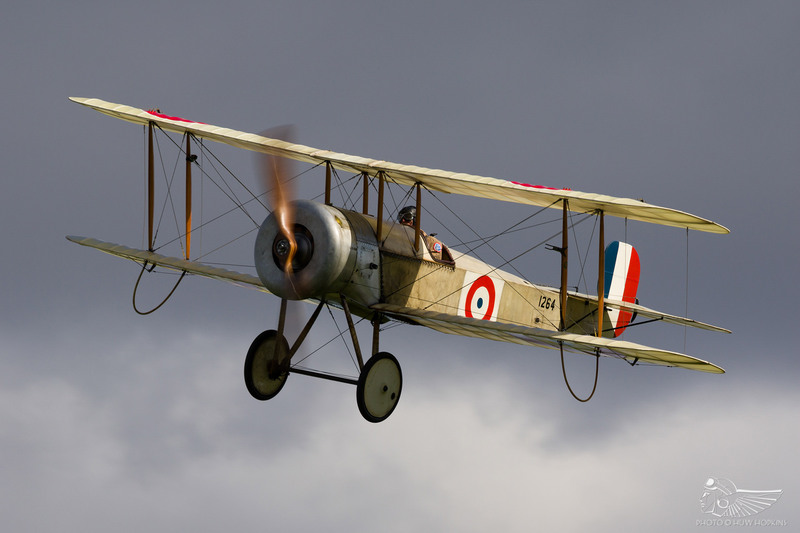 Earliest of the First World War designs to get airborne was the reproduction Royal Aircraft Factory B.E.2e (a 1912 design later modified in 1916) operated by the WWI Aviation Heritage Trust at Stow Maries and displayed with grace by Jean-Michel Munn. 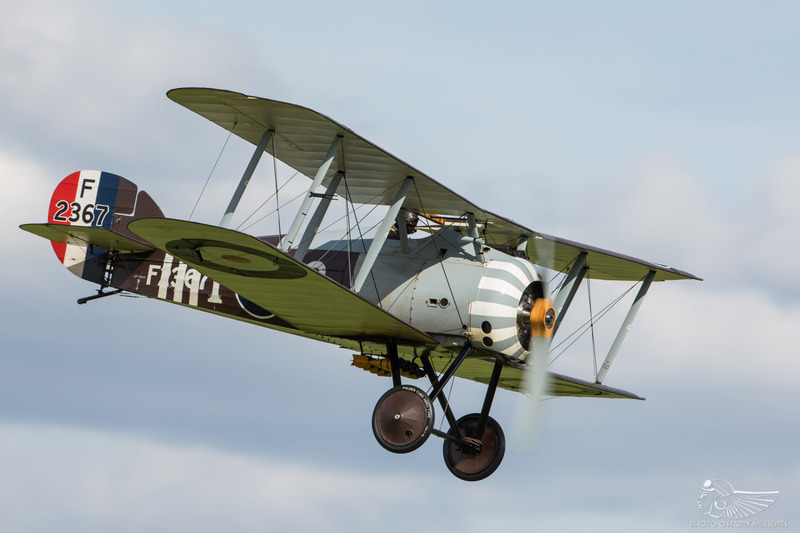 Shuttleworth fielded its Bristol F2b and SE5a for a late-war pairing, while David Bremner flew a spirited display in the wonderful Bristol Scout reproduction. 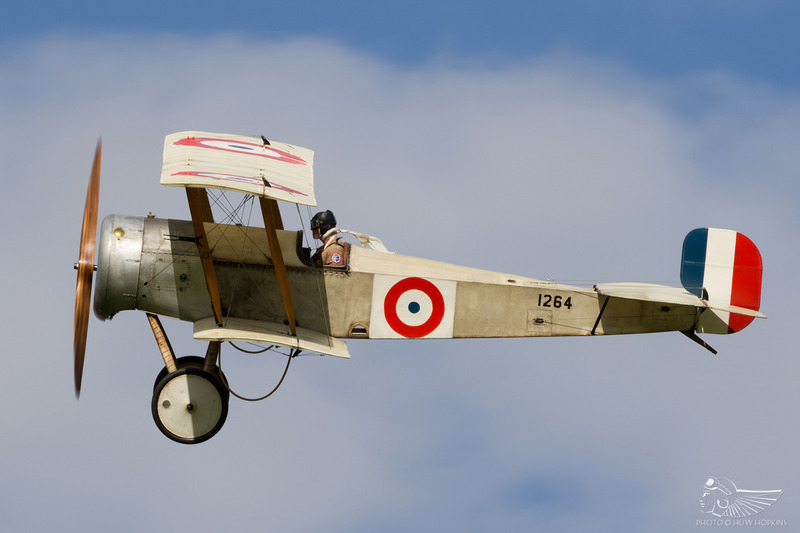 Concluding the Great War line-up was the Sopwith Snipe, operated by the WWI Aviation Heritage Trust and flown with tremendous verve by Jean-Michel Munn in what is likely the aeroplane’s strongest outing to date. 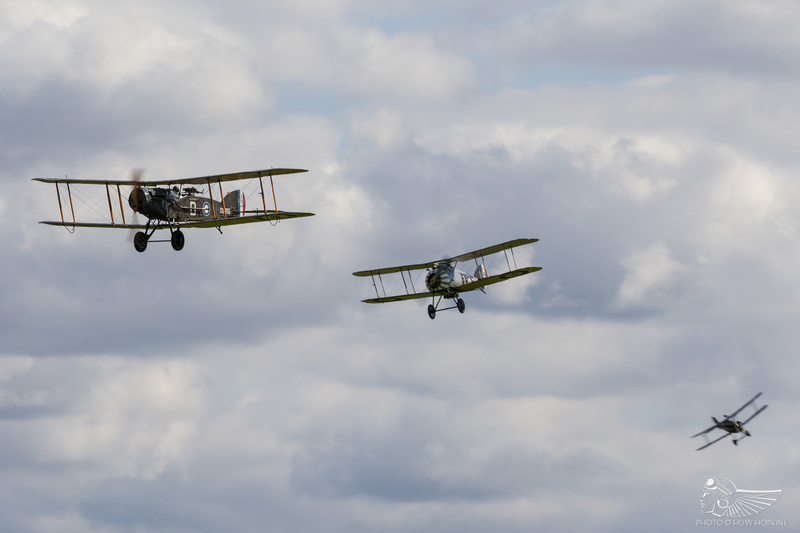 The three-ship passes with the F2b and SE5a were a tremendous sight.  Interesting comparisons in performance and handling could be drawn between the B.E.2e and the Snipe, the latter representing the pinnacle of rotary development with its 230hp Bentley B.R.2 engine. Pleasing it was too to see the Old Warden resident 1920 Sopwith Dove displayed by Stewart Luck, this being only its second airshow appearance (after a fleeting display at 2016’s October Race Day) since its return to flight in recent years. 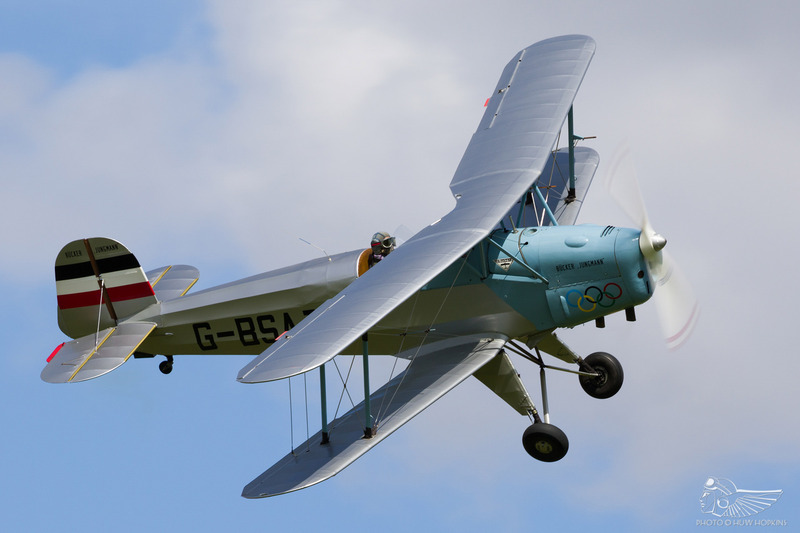 The Dove is a replica manufactured by Skysport Engineering in 1990, and was based at Old Warden in the 1990s before it suffered a landing accident at Andrewsfield in summer 2000. 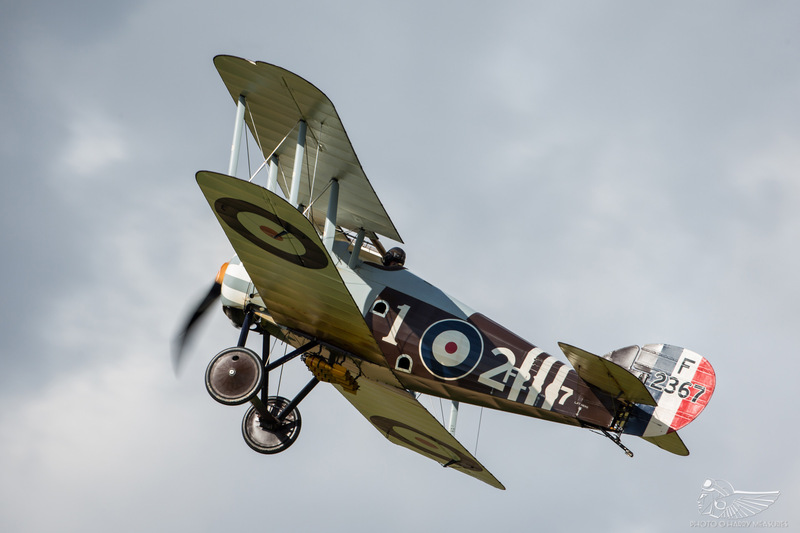 The aircraft is soon up for auction and has left Old Warden by road – one hopes that isn’t the end of its flying life in the UK. Of the visiting acts, the combination of de Havillands Dragonfly, Rapide and Comet provided a personal highlight, particularly during the first loose formation pass. 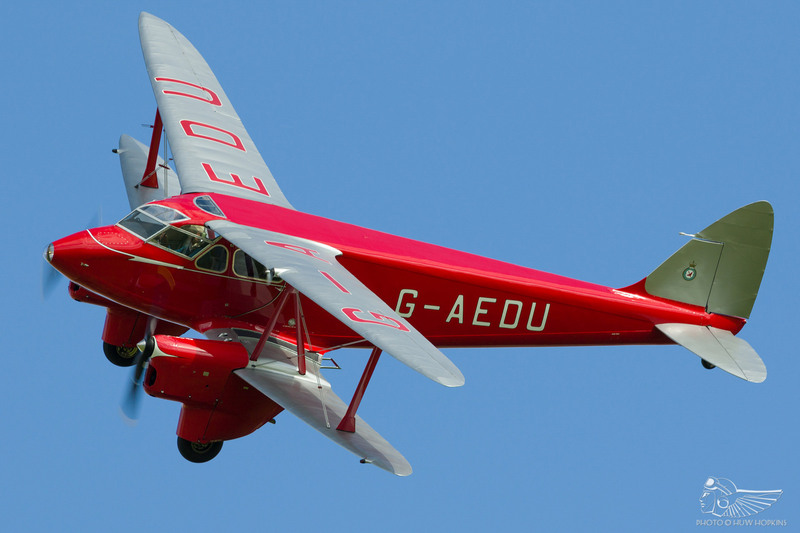 The exquisite DH.90 Dragonfly is one of those quintessential 1930s gentleman’s air carriages, looking every inch the luxury touring biplane in its vivid scarlet and silver paint scheme. Visiting from the Biggin Hill-based Shipping and Airlines Collection for the afternoon, its display in the hands of Henry Labouchere was a real delight. For the second time this year Mark Miller visited in his beautifully maintained DH.89 Dragon Rapide, putting on a dynamic solo. 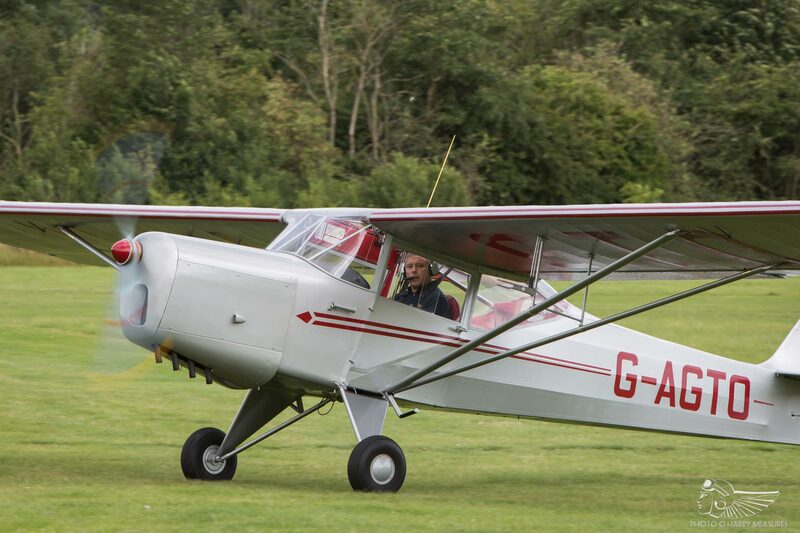 Mark also displayed his immaculately turned out Auster J1 alongside BAe Systems’ resident Blackburn B2, while Kevin Hale put his Auster AOP6 through its paces in another engaging routine. 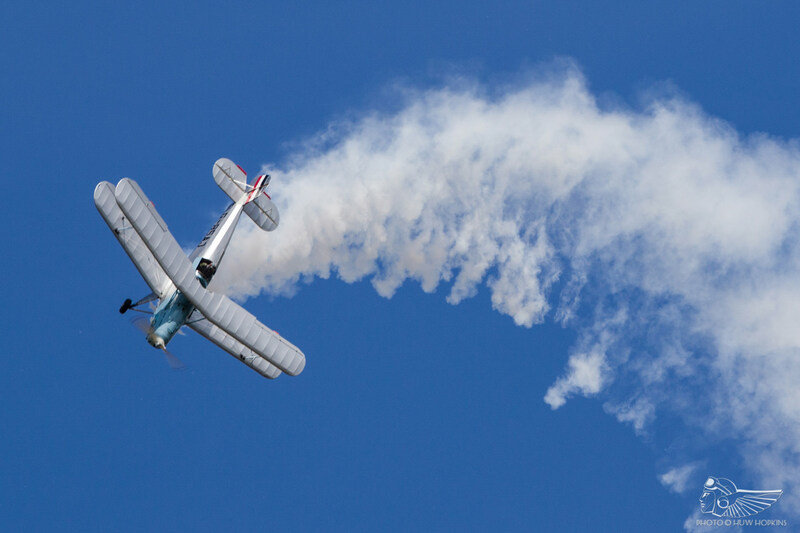 A third Duxford visitor was Anna Walker in her Bücker Jungmann – a regular performer at that venue’s air displays, but not a machine I recall seeing “out and about” too often in recent years – and the smoke-enhanced aerobatic interlude went down a treat. 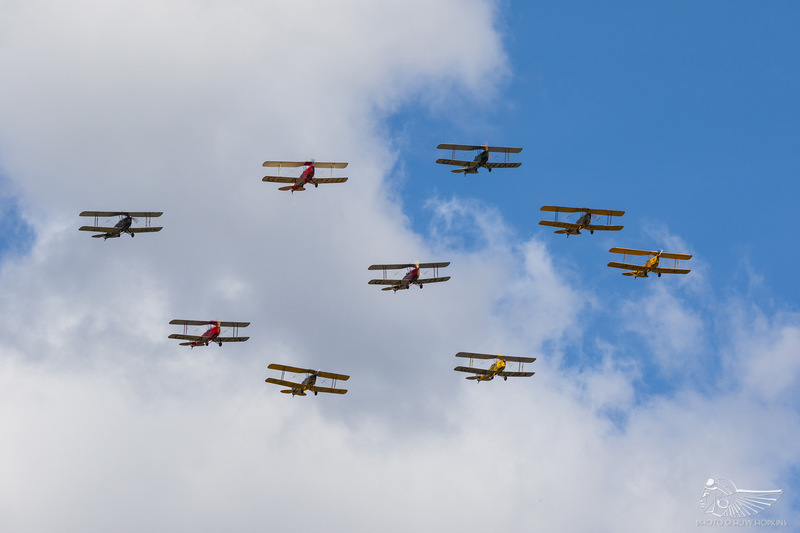 The Tiger Nine team of de Havilland Tiger Moths also put on a commendable display in blustery conditions. Contrasting with the Great War focus were a smattering of more ‘family friendly’ acts, headed by the Red Arrows (making their second appearance at the venue in two years). 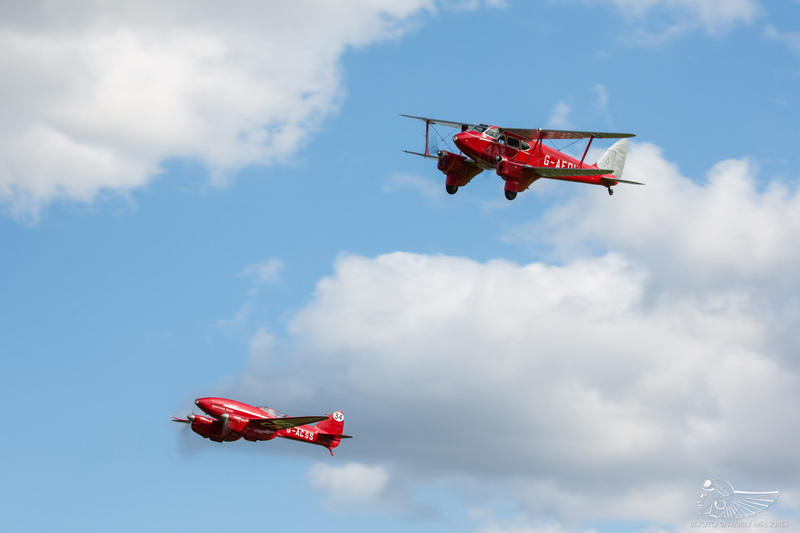 The RAF aerobatic team closed the flying programme a little after 6pm, meaning that families drawn to Old Warden by the Reds’ broad appeal had enjoyed four hours of classic Shuttleworth air displays by the time the marquee act took the stage. 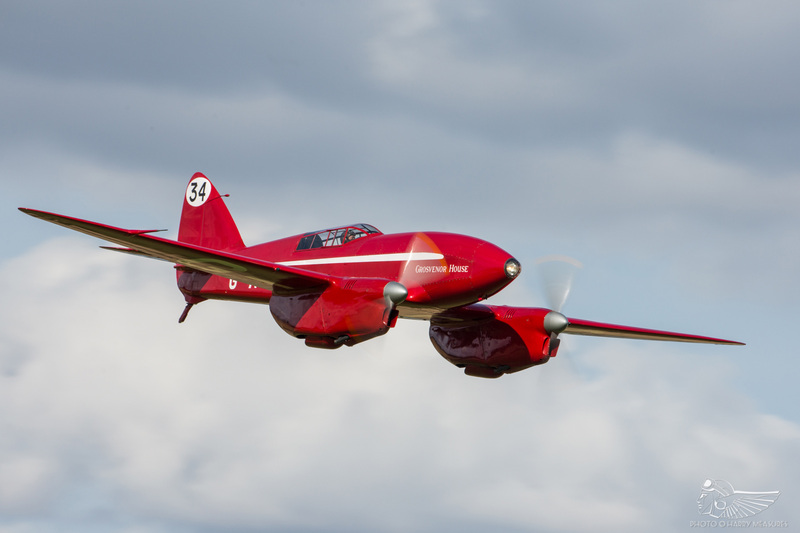 Even a handful of conversions from first-time to return or regular visitors would bode well for Shuttleworth and make the Reds’ annual appearance worthwhile. 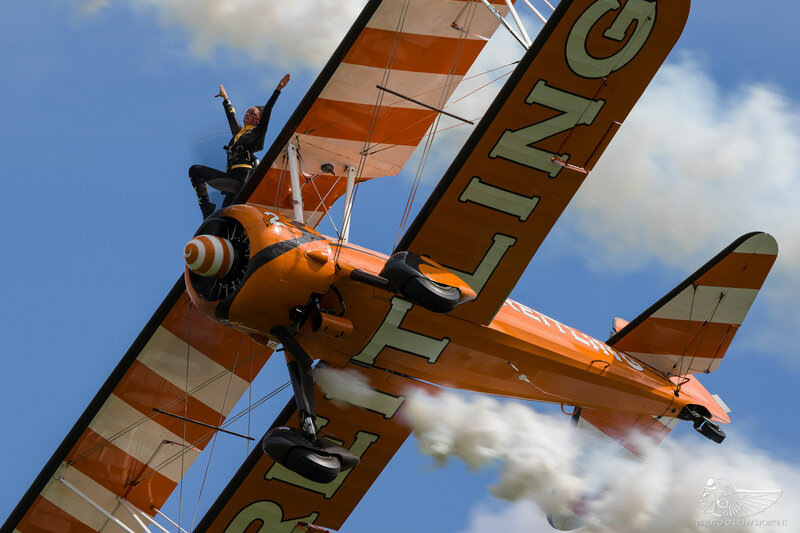 Elsewhere in the flying programme, the Breitling Wingwalkers’ Boeing Stearman duo left a lasting impression (their act is genuinely excellent at smaller venues), whilst the ‘Little and Large’ Extra duo proved popular with the large crowd. Likewise the Calidus Autogyro, the Edwardian Pageant’s opening act, offered a unique deviation from the usual Shuttleworth fare. 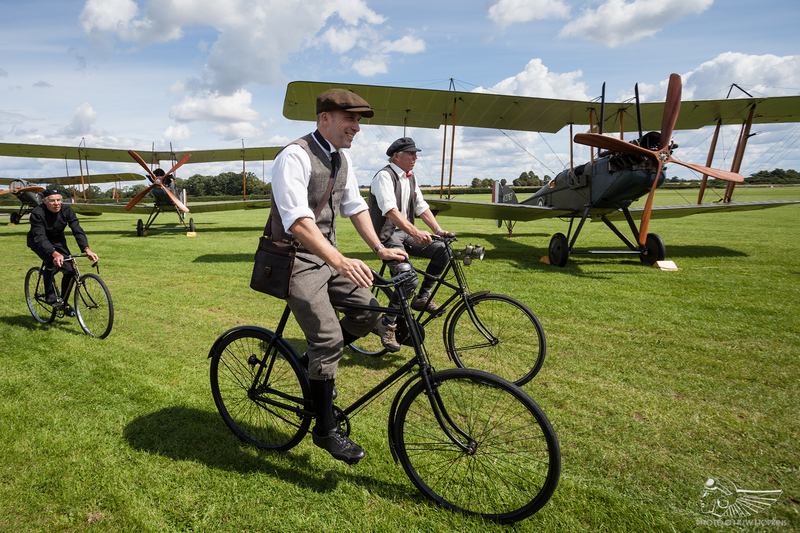 Though Old Warden will always cater for vintage enthusiasts, there’s a place for these general crowd-pleasing acts and the appeal they hold for those with a broader interest in aviation cannot be underestimated. Featuring them more prominently at one of the six big Sunday airshows is certainly no bad thing. 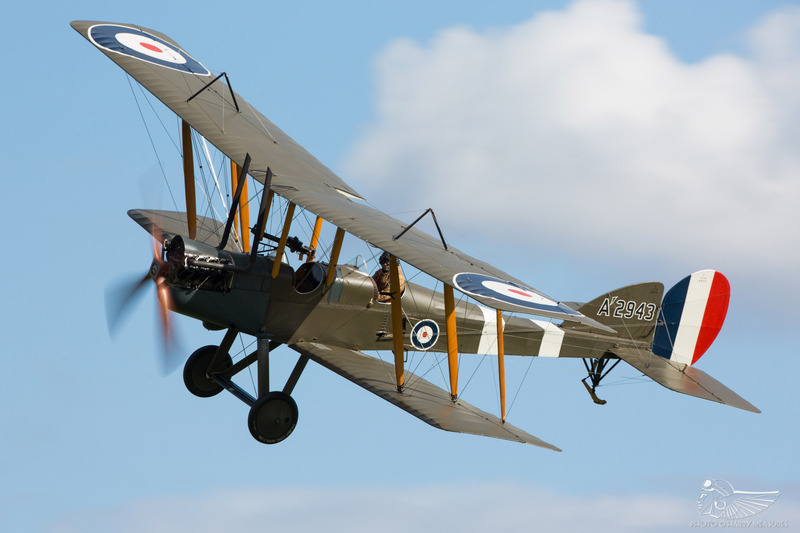 The DH.88 Comet made two appearances during the afternoon, the first in the hands of Paul Stone as part of the aforementioned de Havilland sequence and latterly in chief pilot Dodge Bailey’s hands as a replacement for the four Edwardian aeroplanes grounded by the wind. The latter slot saw the Comet flown alongside the Collection’s Percival Mew Gull as a prelude to the Red Arrows. Notable too was the perfect Comet landing executed by Paul Stone – no mean feat given the considerable challenge the aeroplane offers its pilots during the landing roll! 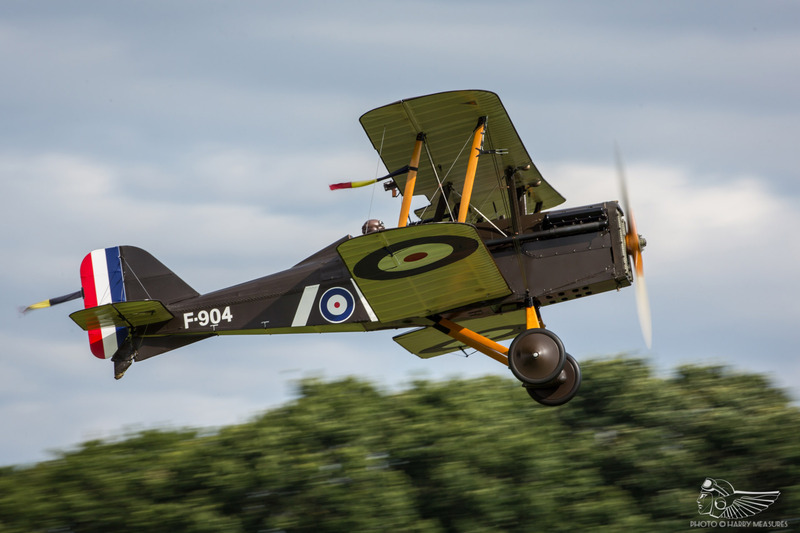 A number of Shuttleworth regulars also took to the skies, amongst them the Westland Lysander and Polikarpov Po-2 with a rematch of the mock dogfight flown at previous airshows. 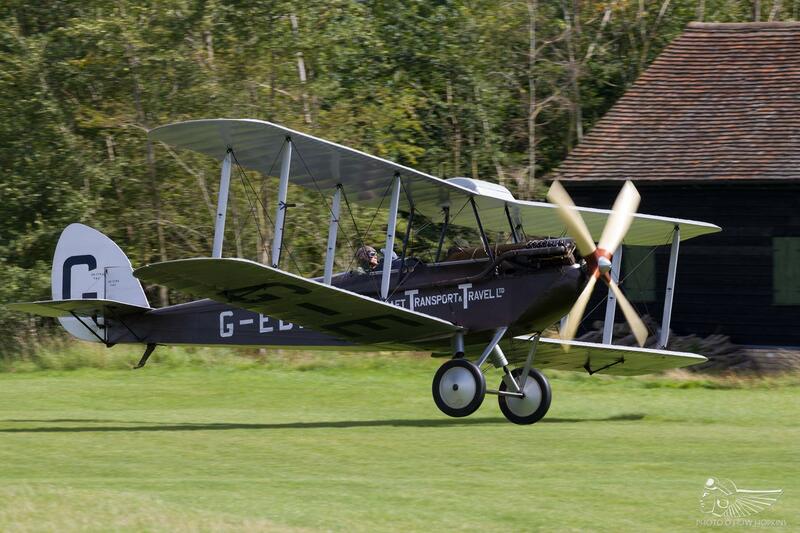 One more elusive type to take flight early in the programme was the de Havilland DH.51 (piloted by Peter Kosogorin), a lovely aeroplane seen all too rarely at Old Warden. 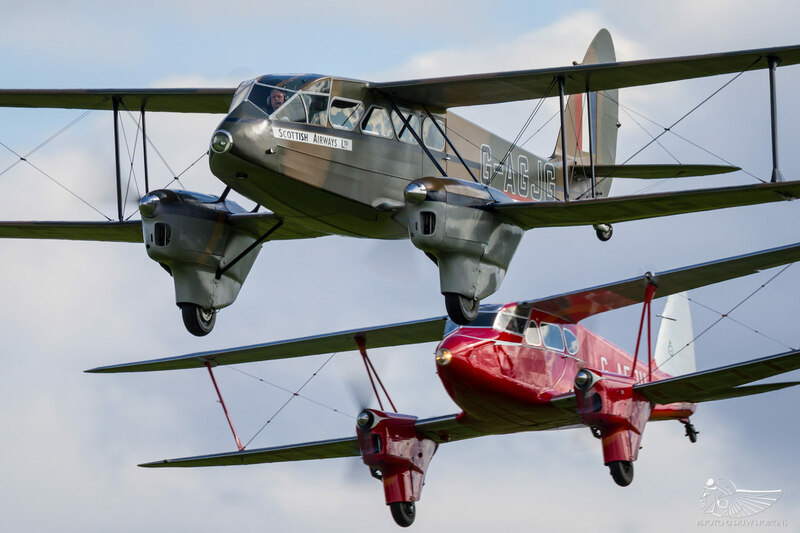 It’s often difficult to draw any critical conclusions from Old Warden airshows – a standard has been set and maintained over the last few years, and an excellent afternoon’s flying is all but guaranteed. Each event delivers something a little different, be it in the air or on the ground, and there is always something worth going out of your way to seek out. 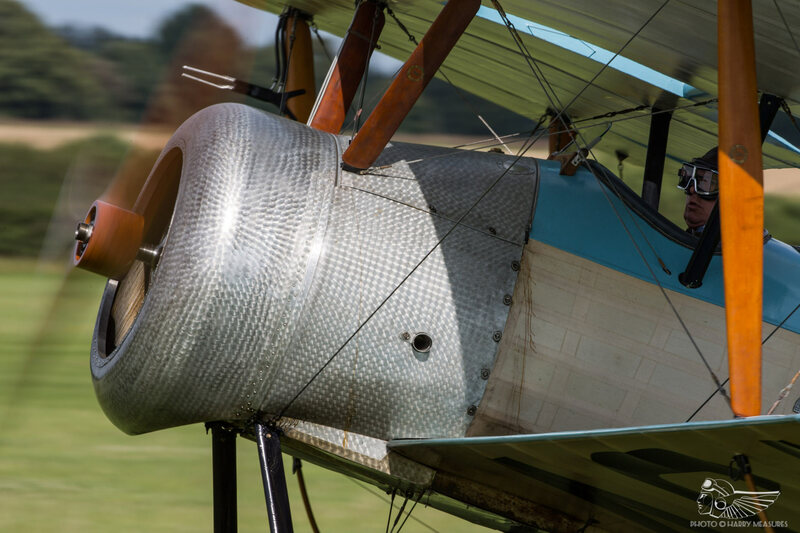 The quality of flying has long been Old Warden’s selling point but, as all four big Sunday shows have demonstrated this year, there is so much more to enjoy under the confident management of the current regime.